Some say Joseph Keefe was the greatest fence man ever to live. Now, he never said that himself, mind you. He was too modest. But the techniques he pioneered are still used by the fencing industry today. 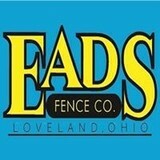 He started his original fence company in the city of Chicago in 1927. He had a passion for a job well done, and it didn’t take long for people to notice. In the years that followed, his business grew. So did his reputation for honesty and integrity. After Joseph’s death the company was passed down to his loving wife, Evelyn, and later his children. Decades later, his grandsons decided to continue the family traditions of craftsmanship and quality. Today, 10 separate companies dot the Midwest – each owned and operated by one of Joseph’s grandsons. 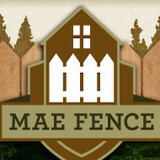 Mae Fence is one of these companies. Like our sister companies, we’re committed to carrying on his legacy. We’re proud of the heritage and rich history Joseph Keefe left us. He taught us personal responsibility, quality workmanship, honesty, and to believe in God. Every fence we build is a testament to the his values. Elite Fence of Columbus, OH offers custom fence installation service and supply. A subsidiary of Columbus's own Outdoor-FX, Elite Fence carries on the tradition of delivering high-quality, custom projects. They carry many different types of fencing materials, and supply and install ActiveYards® fences. For clients looking for financing options, the company offers G.E. Capital financing. Your Dayton, OH fence installation and repair professional will work with you to create your ideal fence. Find a fence contractor in Dayton, OH on Houzz. Narrow your search in the Professionals section of the website to Dayton, OH fence contractors. You can also look through Dayton, OH photos to find examples of fencing and gates that you like, then contact the professional who worked on them.